Hog Roast Luton is experienced in providing corporate catering for many businesses, both large and small, and recently we catered for a giant – Amazon! 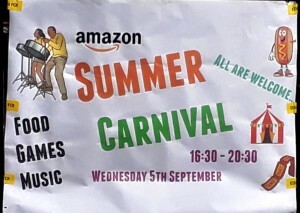 For their summer carnival (well, it is technically still the summer season in the UK), we were asked to provide some delicious food for 350 people at Amazon Logistics, which is located on Boscombe Rd in Dunstable. 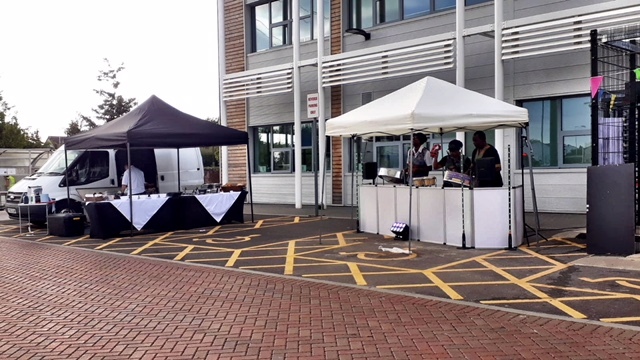 On the day of the Amazon party, our Hog Roast Luton team arrived several hours before the serving start time of 4.30pm, and started by setting up our equipment, including our gazebo and serving tables. Before long, we got on with prepping the meat, by scoring it and adding water and salt all over, and then the hog roast machine temperature was set to low and the meat started to slowly cook while we watched over it. Later, we grilled the skewers, and prepared the sauces and bread rolls, ready for service. 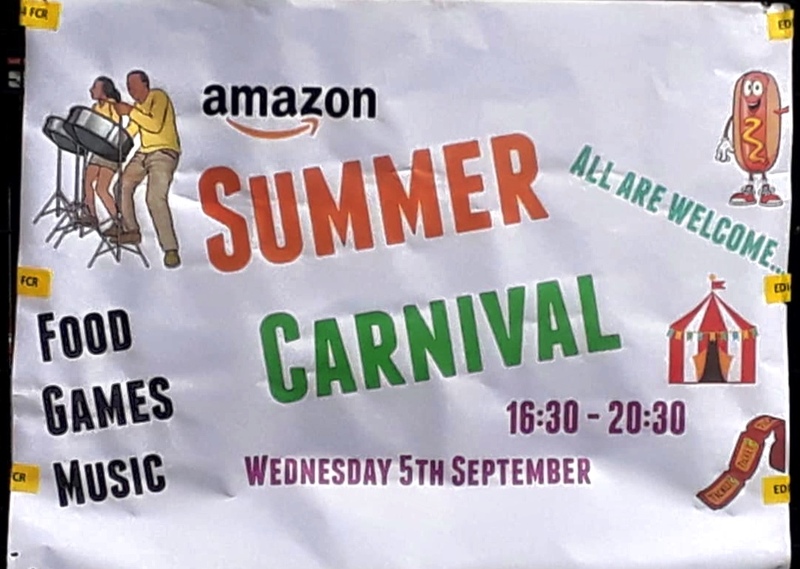 Between 4.30pm and 8pm, we served and satisfied never-ending queues of hungry people, while being entertained by the amazing steel band situated close to our stall, and the guests all had a ball with the fun and games provided by Amazon. Toyota Epsom Fireworks Display – Hog Roast Towcester!